Artesa Winery sits high on a hilltop overlooking the renowned appellation of Carneros in southern Napa Valley. The winery’s roots date back to the 1980’s when the Raventós family, heirs of the Spanish winemaking dynasty Codorníu, began acquiring land in Napa Valley. In 1997 it was named Artesa, from the Catalan word for handcrafted. Today, Artesa focuses on producing small, ultra-premium lots of the varietals for which Carneros and the Napa Valley are best known − Chardonnay, Pinot Noir and Cabernet Sauvignon – and aims to capture the essence of terroir through exceptional winemaking. The winery employs both traditional and modern techniques to create wines that experience minimal manipulation between harvest and bottling. A visit to Artesa is nothing short of spectacular; design, art and nature combine to make the winery one of the most spectacular – and popular – destinations in wine country. Set into the highest hill of Artesa’s 350-acre estate, the avant-garde winery structure was conceived by the renowned Barcelona architect, Domingo Triay, with the idea of building a modern and elegant structure seamlessly blended into the surrounding landscape. A protective covering of natural grasses conceals the winery rooftop, accented by fountains and contemporary sculpture. Inside the winery, the light-filled tasting room houses the contemporary work of Napa Artist Gordon Heuther including large-scale installations in glass, metal and canvas. This emphasis on elegance and art, offset by breathtaking vistas of surrounding Carneros makes the Artesa tasting room an essential destination for thousands of wine lovers visiting California Wine Country each year. Decribed as "one of the most architecturally stunning wineries in North America", Artesa has 360 degree views of the Bay Area and the rolling Carneros Hills from the terrace. The modern tasting room features two tasting bars, a courtyard/outdoor tasting area and expansive views of the surrounding countryside. The works of local artist Gordon Huether are featured throughout the Visitors Center. View from Tasting Room: At the highest point in the Carneros Region, San Francisco, the Bay and Mt Tamalpais are visible. Wine Education: Four educational programs(requiring reservations) as well as two public tours a day are available. Food Available: Vino con Queso, a wine and cheese pairing, is offered every day at 11:30. Call 707- 224-1668 for reservations.Wine and Food Pairing available by reservation, Friday, Saturday and Sunday. 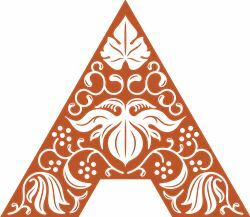 To join the wine club, visit https://www.cellarpass.com/artesa-winery-profile?ID=628&w=1 or call 707-224-1668. Our wine club, Club Artesa, allows members to purchase wine and merchandise at a 20% discount. In addition, members are offered special wines at bigger discounts throughout the year. Events are a big part of the Club experience;a Harvest Grape Stomp , the May Sunset Dinner, summer barbeques and much more all enhance membership in Club Artesa. Private tasting areas just for club members provides a top notch experience.